Aluminium gravity die castings offer vast potential & opportunities. Suited to low, medium & high volumes, they provide a precise, accurate and aesthetically pleasing casting. A number of different coatings can be applied each giving a different surface finish & texture, resulting in a finished casting accurate to 0.25mm. Gravity die castings allow speed of production along with cost effective piece prices, hydraulic die operation is set up on site to optimize this. A wide range of sizes & shapes can be produced using steel and sand cores to create profiles and contours, weights from 10 grams to 25kg in a selection of BS1490 alloys which can be found on our MATERIALS page. 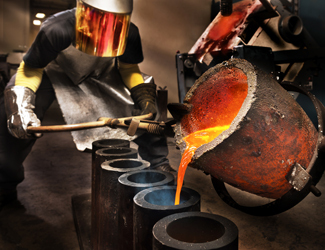 Please contact us for all of your Gravity Die Castings requirements. DAC Industries; experts in Gravity Die Castings.